Automatic toothpaste dispenser Eco-Friendly, it prevents waste of toothpaste. Easy to take apart and wash. 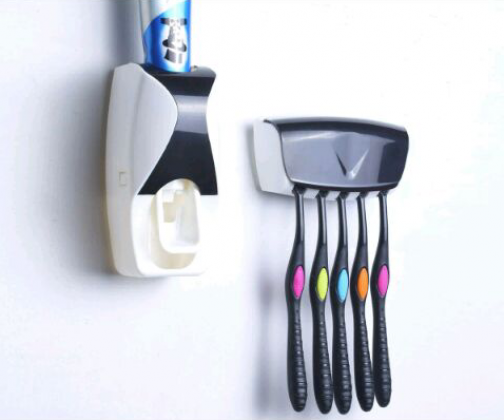 Uses vacuum principle for dispensing toothpaste, no electrical power needed. 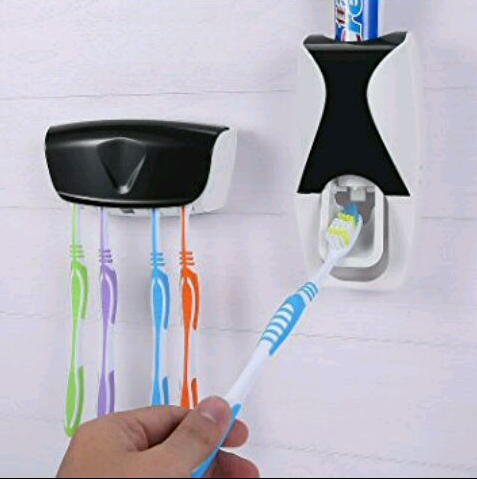 Compact and easy to install on a surface or wall. One touch method, simple convenient and easy to use. Convenient for children, old people and the disabled. 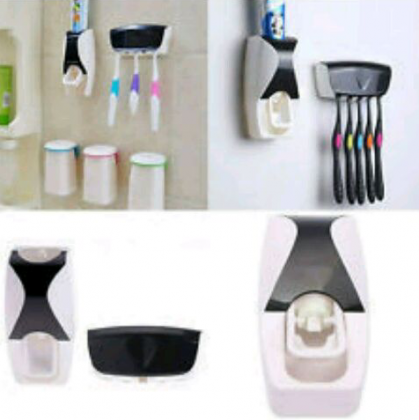 The toothbrush holder can hold 5 toothbrushes.